With a growing passion for music since early days of childhood, Gerson Coelho (Portugal, 1990) started his studies at the age of 6 with piano classes. He continued his studies in music, and graduated in Music Teaching & Choral Conducting at the Escola Superior de Música de Lisboa, doing an Erasmus program during the 2nd year in the Zoltán Kodály Pedagogical Institute of Music in Keckskemét. By then, choral music became his prime passion. 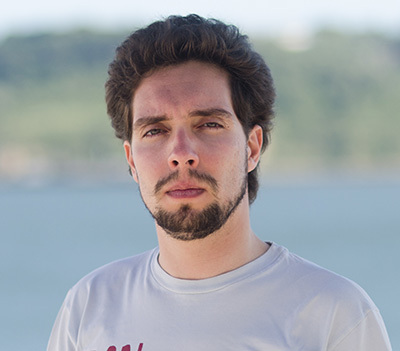 Involved in intense activity with choirs and ensembles such as Officium Ensemble, Coro Gulbenkian, Coro da Casa da Música, Voces Caelestes and Ricercare, Gerson has been developing fast as a conductor and a singer. Recently he participated in Meesters & Gezellen with conductor Sigvards Klava.